It is early, a quiet Saturday morning, and I am feeling as pleased as punch. Sipping my first cup of tea, black, sweet and as nourishing to the soul as a warming hug, I am snuggled under my largest finished crochet piece, a beautiful throw knotted lovingly from the finest British Rare Breed wool. It fizzes with the memory of springtime frolics in rolling fields, twisty strands still studded through with tiny sticks of tangled hay. The smell and texture is so warm and woollen, I feel as if I am cuddling a dear little silver green lamb on my lap. I have loved every moment of producing this comforting throw. 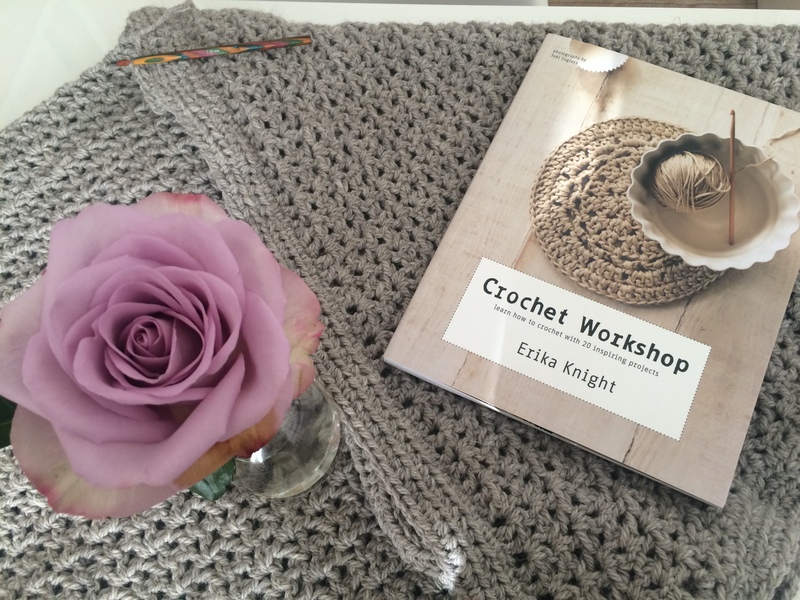 From flicking through Erika Knight’s excellent ‘Crochet Workshop’ book (pausing over every tasteful and stunningly crafted item before plumping on this gorgeous project), to choosing the perfectly toned wool at the shop. 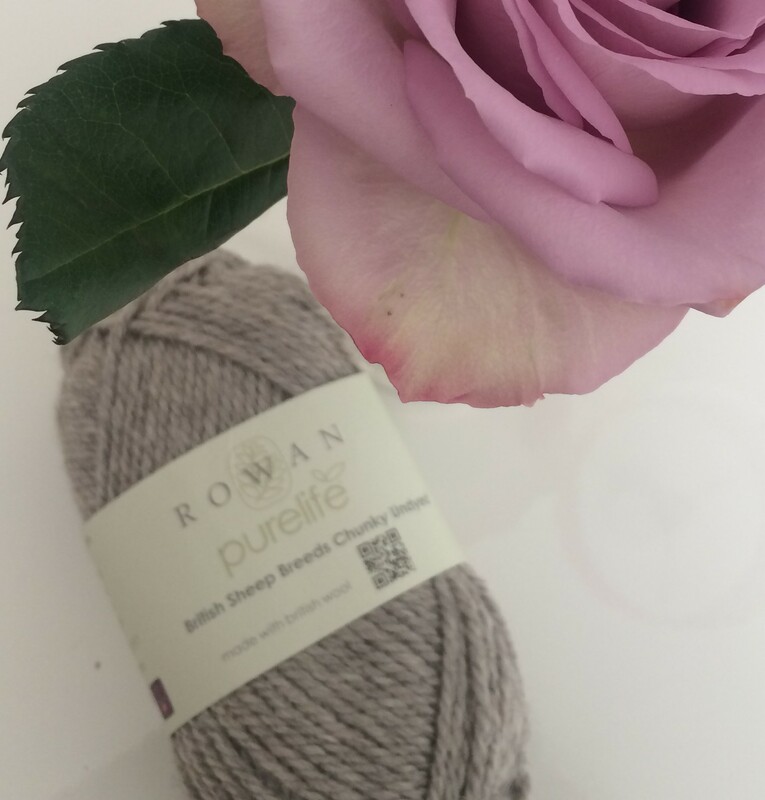 My joy was further deepened with the discovery that the shop had the exact number of woollen skeins I needed in stock – I was therefore able to start my project immediately, safe in the knowledge they were all of the same batch and therefore the same colour. These are the sort of subtle hued matters that clearly preoccupy the would-be crocheters mind. 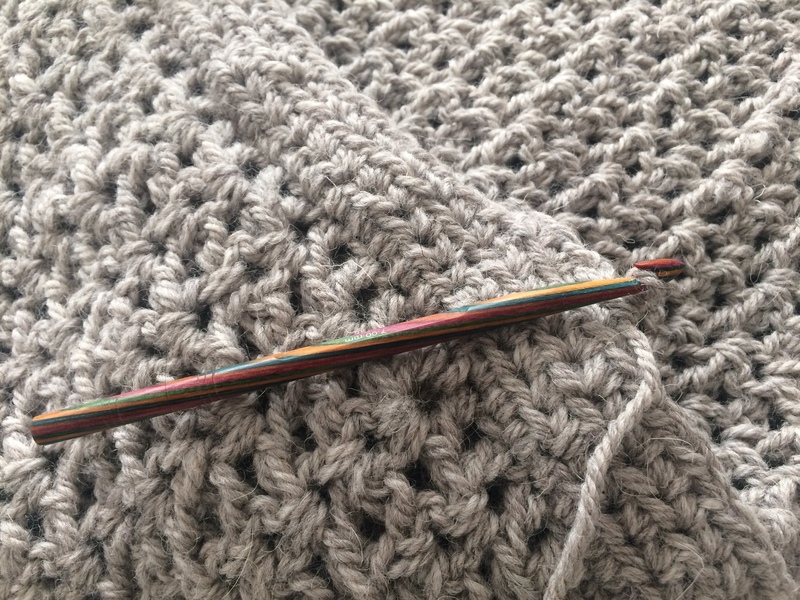 Even my new crochet hook is perfect, a smooth wooden stick swirled through with reds, greens, blues and yellows, as appealing as the most enticing candy cane. It’s gorgeous. I knotted and twisted and inhaled that woolly scent for many nights, the slide and pull of the hook creating magical bumpy fabric that seemed to rise from under my finger tips. Ridges and furrows were created, evocative of the ploughed fields hosting the original woolly coated owners of those roughly spun strands. The unique approach necessary for successful crochet projects, that of monotony and deep concentration, calmed my busiest mind. The mental whirling that is my defining characteristic was somehow miraculously transferred to my fingers, productive and meditative and so utterly soothing for my soul. Crochet is something I taught myself, poring over Erika’s fabulously clear instructions and illustrations, producing wonky face cloths and half finished cushion covers galore. If you haven’t yet tried crochet, dear reader, I can heartily recommend it. So easy to pick up, in all senses, and a wonderful way to while away some time when the spirit is restless and the urge to produce is strong. I’m so looking forward to these forthcoming autumnal evenings, whirling, twirling and twisting towards another soul soothing creation in front of the crackle of my wood burning stove, all toasty under my sage hued throw. Another glorious post. You actually make me want to crochet!